Good-bye, boring vegetables! 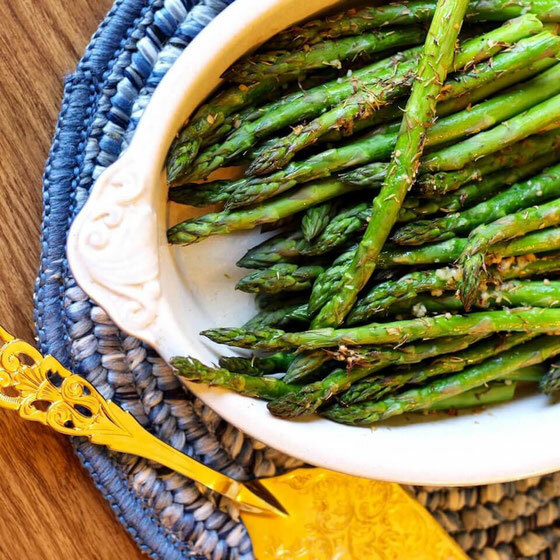 This roasted asparagus is simply seasoned, yet guaranteed to impress your dinner guests. I created this recipe for my sister, Janice. She loves asparagus, flavored with simple spices. So the last time our family got together for a big meal, I made this for her. I love asparagus because it's full of fiber and so many vitamins and minerals. 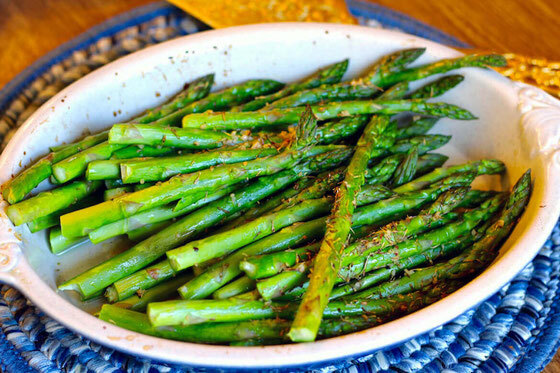 I've highlighted it before in my Grilled Asparagus with Lemongrass Garlic Rub. This asparagus recipe couldn't be easier to make. I whipped up a light sauce of olive oil, lemon juice, black pepper, and dried thyme. 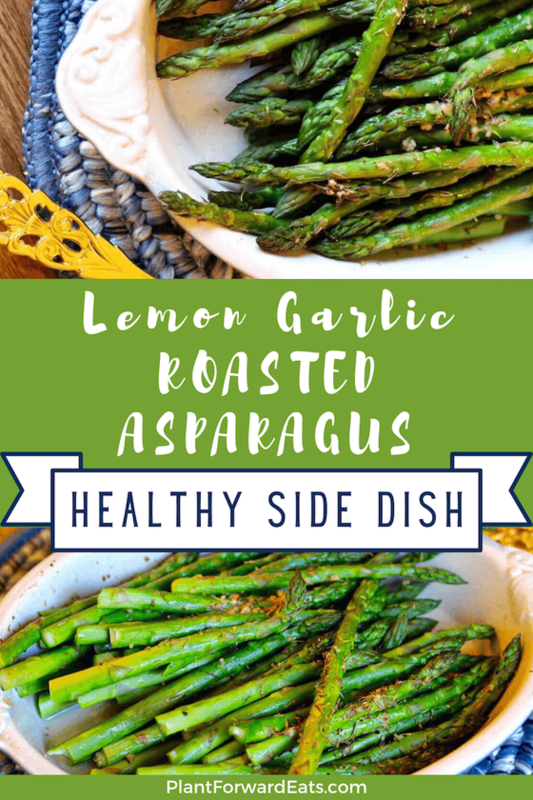 Then I tossed that with the asparagus, roasted it in the oven for about ten minutes, and then had a lovely vegetable side ready to eat! And here's a little tip to make the prep all that much easier: You don't have to cut the asparagus! Simply give it a little bend, and the end will snap off. This cuts down prep time, making this a dish you can whip up in less than 20 minutes! Preheat oven to 425° F. In a small bowl, combine oil with lemon juice, thyme, pepper, and garlic. 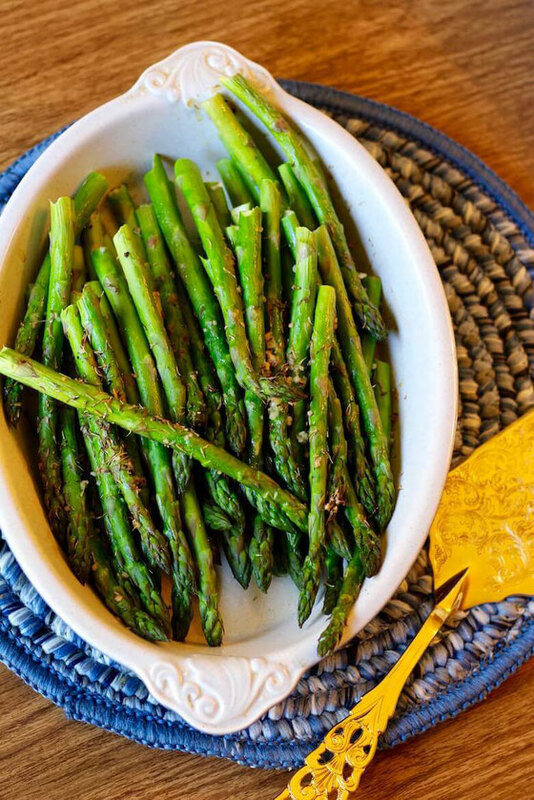 Place asparagus in baking dish, and toss with herb mixture. Bake for 10-15 minutes, until tender. Serves 4. What are your thoughts on this topic? What are your favorite veggie sides?